21 March 2018 - 0730- 1700 - BAR Course is for returning RCPT-USA members, who have not jumped in the last 180 days (but have jumped with RCPT within 5 years). This 8 hour course will refresh the jumper on current SF-10A parachutes and jump procedures, to prepare them for a jump at the end of the course. The course includes professional instruction, a reference manual, parachute rental, and parachute repacking. This price includes the event registration fees; BAR is instructional only and doesnt not include any jumps. Jumpers must provide proof of round canopy training, jump log, and a current and completed RCPT-USA Jumper Medical Statement Form. The Extended Airborne Refresher (RCPT members) is designed for previously trained round canopy jumpers who have not jumped in greater than 5 years. This course includes focus on canopy control, non-standard aircraft exits, PLFs, and malfunctions and emergency landings. 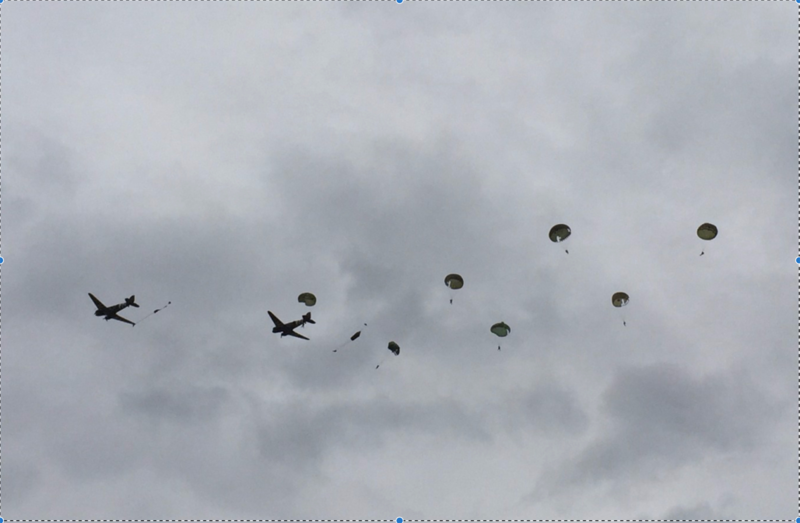 Students will make 2 jumps to re-certify and will also receive instruction in parachute packing. Jumpers must provide proof of round canopy training, jump log, and a current and completed RCPT-USA Jumper Medical Statement Form. The Extended Airborne Refresher (non-member) is designed for previously trained round canopy jumpers who have not jumped in greater than 5 years. This course includes focus on canopy control, non-standard aircraft exits, PLFs, and malfunctions and emergency landings. Students will make 2 jumps to re-certify and will also receive instruction in parachute packing. Jumpers must provide proof of round canopy training, jump log, and a current and completed RCPT-USA Jumper Medical Statement Form. Basic Round Canopy Jump Course -$450 ($375 for RCPT Members) 19 Mar - 21 Mar 2019 - This 3-day course teaches the basics of jumping with a military static line steerable round parachute. It is for those with no previous parachuting experience, or experienced skydivers who have not jumped with a round parachute before. You will be instructed on the use of the SF-10A parachute, currently in use with the US Army as part of the MC-6 parachute system. Instruction will include equipment familiarization, actions in the aircraft, actions during descent, landing techniques, the basics of canopy control and emergency procedures. After completing ground training, you will conduct 3 jumps from a Cessna 182 or Kodiak at 1,500 feet AGL. Total cost for the course is $450, which includes professional instruction, a reference manual, parachute rental, 3 repacks from our on-site rigger service, and 3 lift tickets on the Cessna 182 or Kodiak. 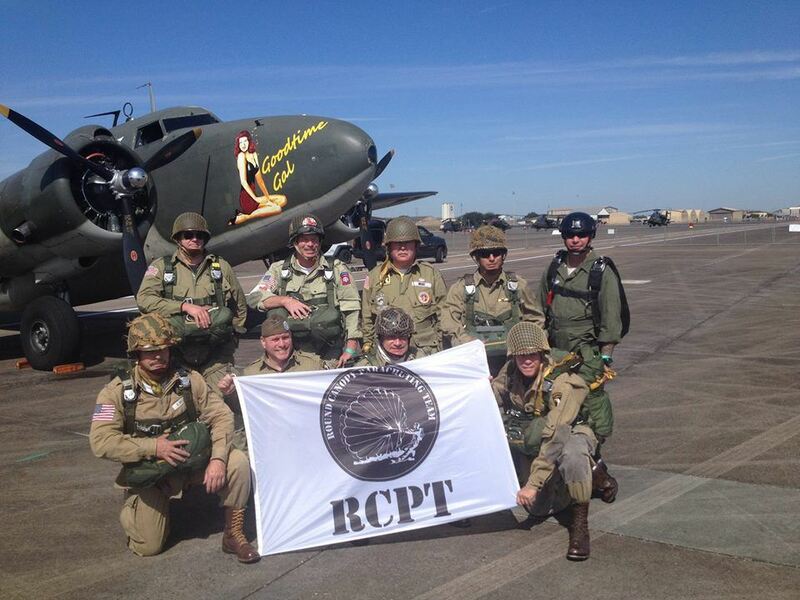 After completing the first jump course, you will receive a RCPT-USA Certificate of Completion. Extended Airborne Refresher - $300 ($225 for RCPT Members) 19-21 Mar 2019 Extended Airborne Refresher Course for jumpers who have attended been a Basic Airborne course, but have not jumped in the last 5 years. This course will update the jumper on current SF-10A parachutes and jump procedures, to prepare them for 2 jumps at the end of the course from the Cessna 182 or Kodiak. The course price includes professional instruction, a reference manual, jump fees, parachute rental, parachute repacking, and RCPT-USA Annual Membership. Arrivals: Nearest airports are Gainesville (GNV) and Jacksonville (JAX). Let us know your flight plans, so we can help link up travelers for car-pooling to and from the airport. Clothing: Any style military field uniform is fine, but you can wear any long sleeve, long pants, and over the ankle boot ensemble you like. Participants typically wear service specific ACU/OCP type uniforms as well as WWII style M1942 uniforms and flight suits. Suitable helmets include the ACH, WWII M1C helmet, Protech, CRYE FAST and Bump, Team Wendy, PT Alpha/Bravo; RCPT also has available ACH helmets for use. Airsoft helmets are not suitable for parachuting. Copyright 2017 Round Canopy Parachuting Team - USA Foundation, INC.